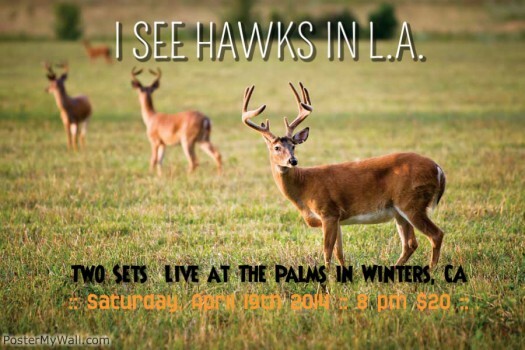 2014 April — I See Hawks in L.A. 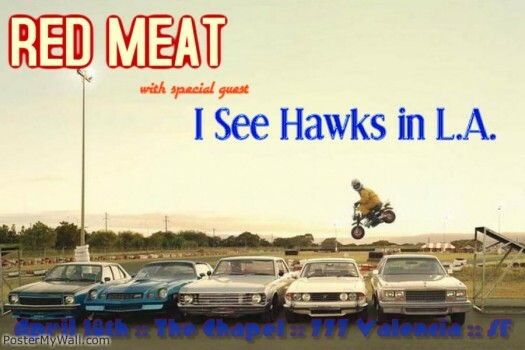 Artist: I See Hawks in L.A.
Notes: Returning to the land of fog and youth to play this happening SF club with our good friends RED MEAT! Notes: Returning to our NorCal spiritual home for two sets at the Palms! Dembowski, Waller and Lacques present a free download of “Drysdale, Sutton & Koufax” today in celebration of the 2014 Dodger Hope Opener. It’s time for Dodger baseball! Go Blue!